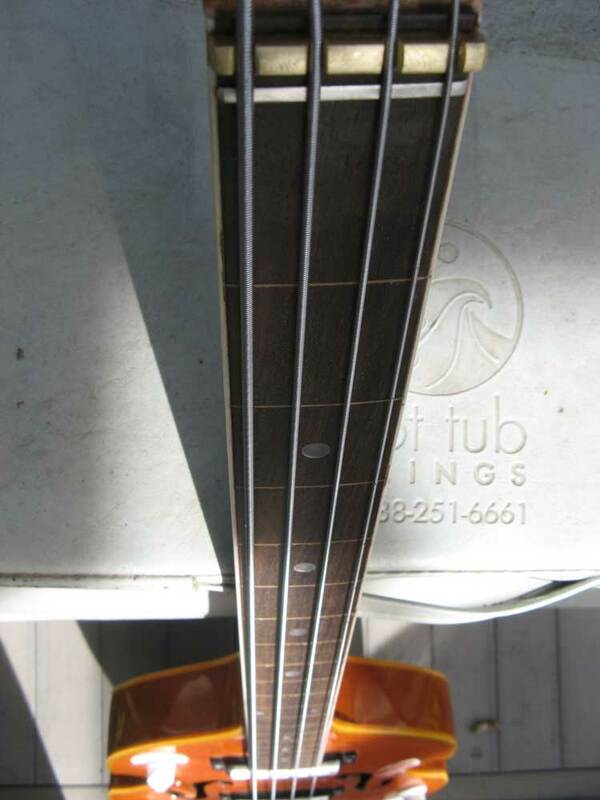 This bass came to me from my great friend John Mortl. 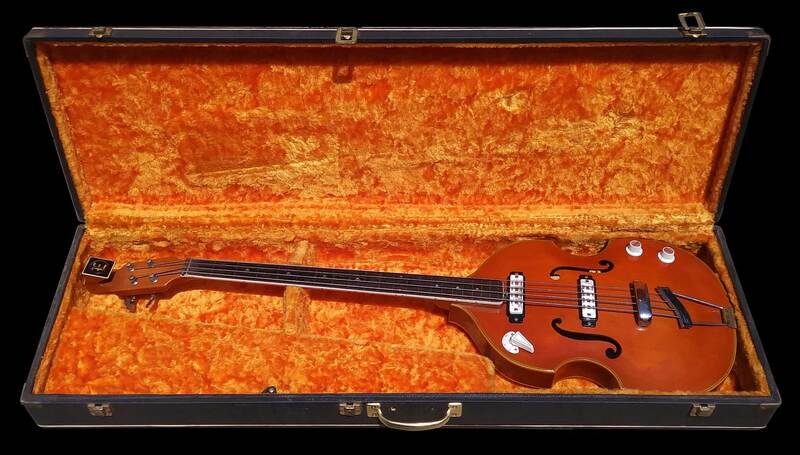 He gave it to me after the infamous garage fire destroyed my old Crown Beatle bass. 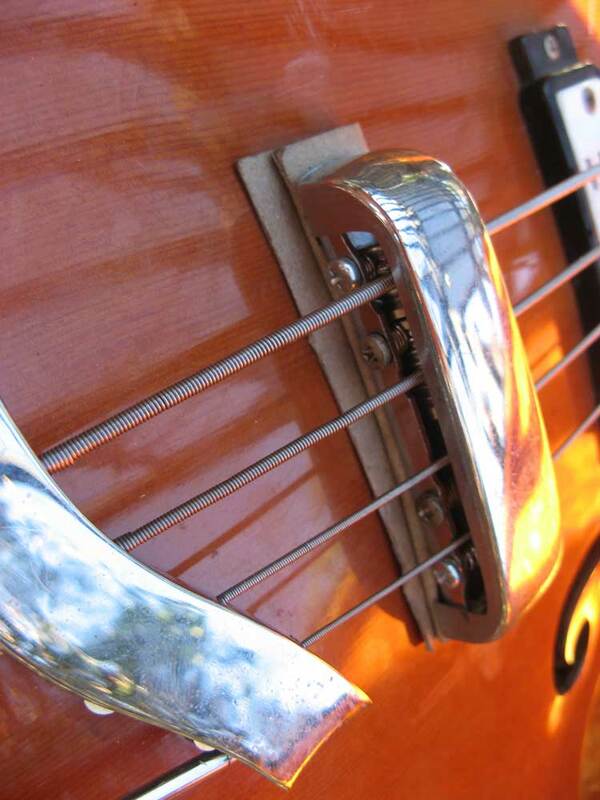 It’s an EKO 995 Violin Bass from 1964. Made in Italy. 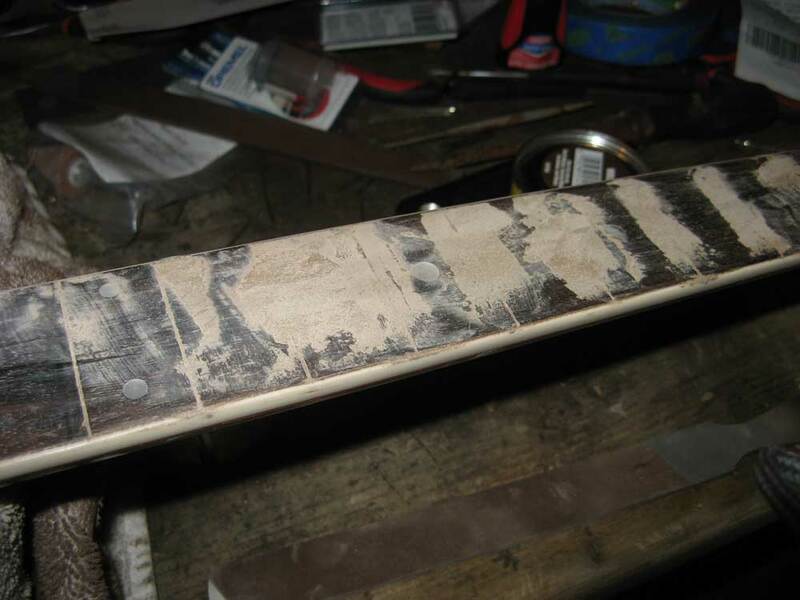 I removed the frets like had done with the old Crown. It plays bitchin. It was a basket case when John gave it to me. It needed a new tail piece and a nut. I made both out of brass. 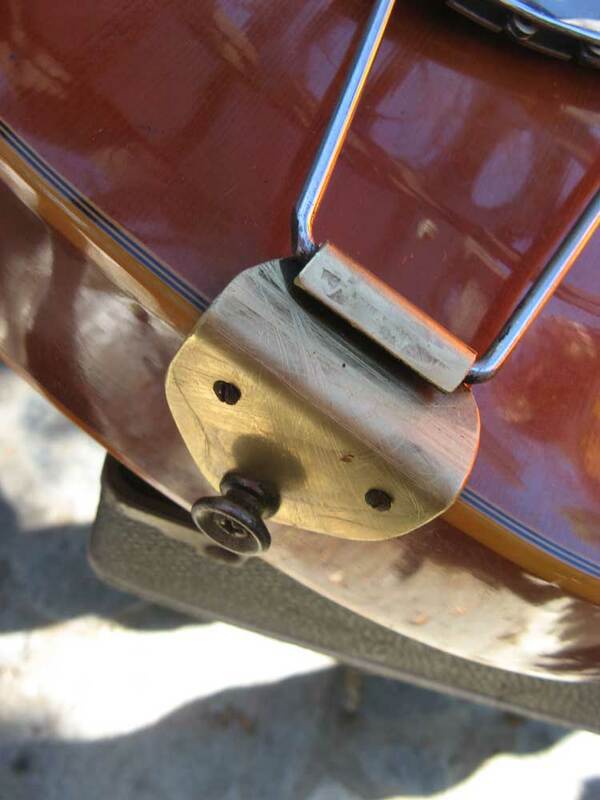 It also needed some custom bridge work to make it work fretless. 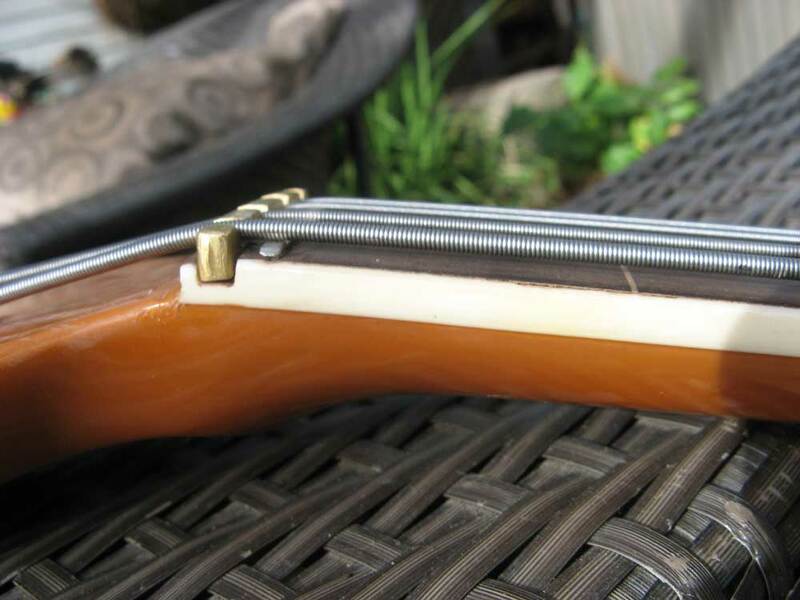 Before I ripped the frets out, I scoured the internet for extra parts for this bass. 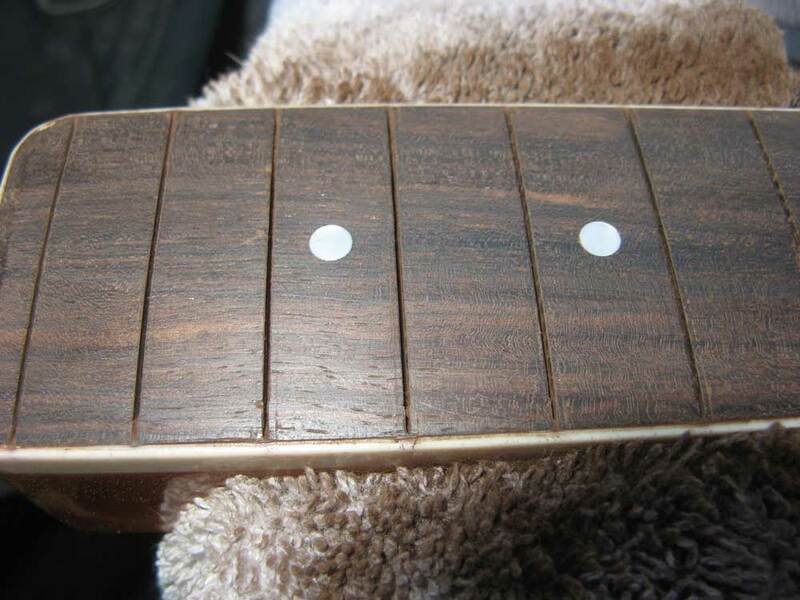 Lo and Behold I found a brand new un-drilled never played fretted neck. It was in England at some small shop. The owner had bought out the entire EKO stock when they went out of business and was glad to sell it to me. That took some of the pressure off in case I screwed up the original neck. 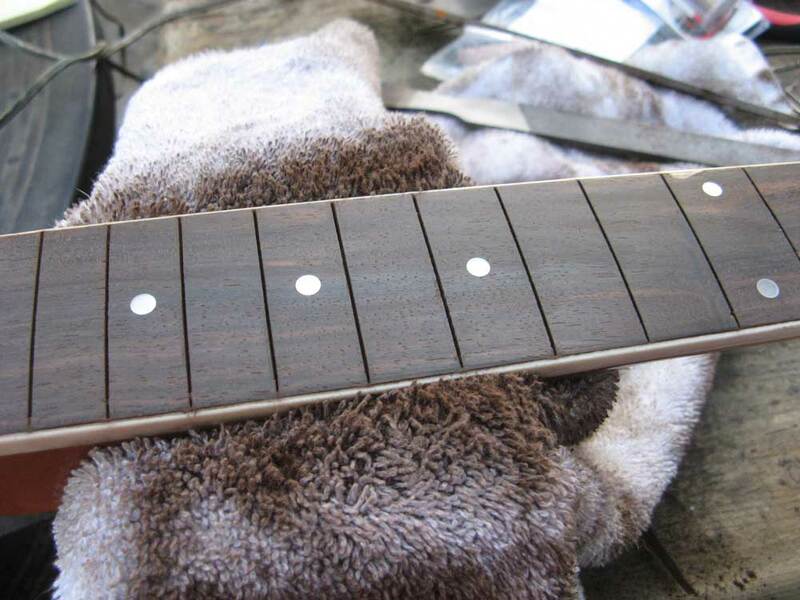 I also can put it back together as a fret bass if I ever want to sell it, which I won’t.